The First of June is “International Children’s Day”. The event was launched at the cultural center of Beslan in North Ossetia (Russian North Caucasus). The action envisages public signature collection worldwide to symbolize global unity against terrorism. Terrorists took more than a thousand hostages in town secondary school No. 1, September 1, 2004. Rescue came, September 3. 330 died in the heinous terror act. 186 of the victims were children. 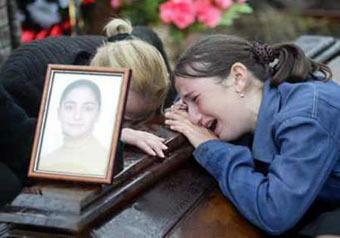 In the hand of a child in Beslan. A group of children from the North Ossetian town of Beslan who are spending a vacation on Bulgaria’s Black Sea coast enjoyed a merry holiday on the occasion of International Children’s Day on Wednesday. 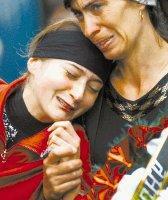 After the release in Beslan. The schoolchildren from Beslan are staying in a resort and recreation complex of Akrutino. On Wednesday, they had a chance of getting acquainted with the rich history and interesting places in the town of Sozopol. In Akrutino, the children were present at a meeting of reporters with official representatives of Bulgaria and Russia. “Thank you for coming. We are glad to do everything to make you feel at home,” Simeon Peshov, the president of Glavbulgarstroi organization, said in his address to the schoolchildren. 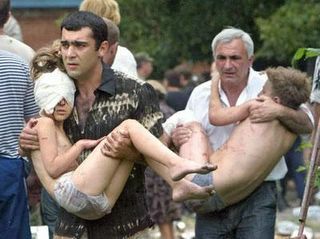 The children from the North Ossetian town of Beslan (North Caucasus), where as a result of the capture of hostages 330 people, including 186 children, died, on Tuesday visited the Strasbourg headquarters of the Council of Europe. As a spokesman for the press service of this organisation told RIA Novosti, the delegation of 40 children and teenagers was received by deputy Secretary General of the Council of Europe Maud de Boer-Buquicchio. The children visited the Palace of Europe and even its assembly hall at the time when a plenary session of the Congress of Local and Regional Authorities of the CE took place there. The chairman interrupted the session for several minutes to greet the children from Beslan on behalf of all the session participants and expressed solidarity with the families who lived through the tragedy. the president of the Congress, Giovanni di Stasi, handed over the money to the delegation, which was collected by the inhabitants of the Italian town of San Jiuliano di Puglia. That town also lived through a tragedy: during an earthquake in October 2002, 27 children died in a local school. The delegation from that town specially arrived in Strasbourg t o give the money to the Beslan children and to make an agreement about establishing twin-city relations with Beslan. A rally was held to mark World Children’s Day and the tragic events in Beslan on May 30th in Yerevan, Armenia.